When the Creator brought forth the intention of creation, the spirit became part of this creation. In the beginning, the spirit was neither positive nor negative but was born innocent and simple; however, all the necessary information of the creator (DNA if you wish) was placed within the spirit. Another aspect that was given to spirit was Free Will along with a mission and purpose. The purpose of this mission is to find the way of Truth and Love. To do so spirit would need to undergo many forms of incarnations not always on Earth either. The speed of its journey was dependent on its use of Free will. The main issue is that spirit is a higher vibratory level of frequency than that on lower realms one of which we know as Earth. To enter the lower realm could prove quite dangerous to both spirit and the physical body. To achieve the proper outcome, the spirit is able to create via the Creator an essence that would be able to transverse both the spiritual and the physical without any facing any harm in both realms. This essence is called The Soul. In my previous article on “What is the Spirit Connection” I mentioned in the beginning that without Spirit, there is no life. This is so true but without the soul, there is no movement to that existence of life that is called on by Spirit. The soul is the second of The Four Quadrants and a vital component of the evolution of the spirit. It is the soul that enables the spirit to progress forward in finding truth and love, along with its journey towards enlightenment. Within the soul contains the same knowledge from spirit as given by the creator. However, the soul now becomes the main vehicle of information along the superhighway between the planes of the spiritual and the physical realms. Now that the soul has been created the next phase of its mission is to attach itself to what we called here as in the physical world on Earth as the human body. As stated before life is not just on Earth but within other worlds, some not even found by today’s means of science and technology (not yet anyway be they are getting there). For now, we will only focus on Earth and the human body. As mentioned the purpose of the mission given by the creator to the now Soul Spirit connection is to find the way of Truth and Love via the learning experience gained on the physical level. To do so the soul is able to attach itself to the human body at its earliest stages of life, the embryo. It is said that the soul doesn’t enter the body until the first breath of life is taken when the baby is brought out into the physical world. The fact is the soul, is already within from the beginning of conception but not fully activated. 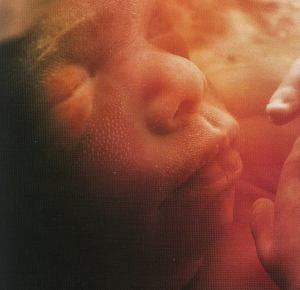 Instead, it is partially activated in that it is already learning and processing knowledge from all the experiences gained during the pregnancy. Many parents can testify that the baby knows or is aware of what is happening. Remember the kicks when you call out the unborn baby’s name? The actions that are shown when you kiss or gently massage the tummy. Some parents will even read or play certain music as well only to find when at a younger age that child seems to appreciate or even has that special skill or task at an early age. Well, it is so because the Soul has already begun to process the information given before the child was born. It may not happen to all children but remember the soul has the same free will from spirit to choose what options to take. This could be a want to learn and progress or could even be a want not to learn and do nothing even to the point where it may become rebellious, which can show in the child’s growing experiences. Because of free will, the journey of the evolution of the soul is dependent on the choices that have been made, not by the soul but by the ego which is attached to the soul. When you compare these actions to the human being it is not much different as many people decided either consciously or unconsciously to do or not to do certain tasks. Even to sit on the fence is a choice of free will. Remember free will is a decision to take. It may not always seem to be the correct option, but nevertheless, it is a decision. OK, this is the part where there will be many who either disagree or agree with the notion of Reincarnation. If you don’t believe that’s fine all I ask is for you to keep an open mind in what is stated that’s all. I am not here to convert you in any way shape or form. That is your free will on what form of belief to take. Now as the soul goes through the current life it is part of. The soul will gather up and permanently record all the information it has gained. 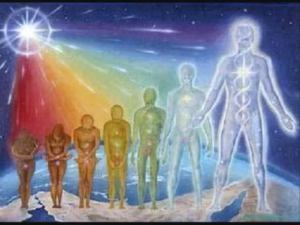 At the point of departure from the living shell, we call the human body; the soul will once more connect with spirit and the greater collective consciousness which is the creator. At this point, all knowledge gained in the current life along with what has been gained from previous lives will then be revealed. If the spirit, has completed all tasks and found the truth and love as given by the creator then the soul will permanently become one with spirit. There would be no further need for incarnation as all ties including emotions, wants and needs have been cut. 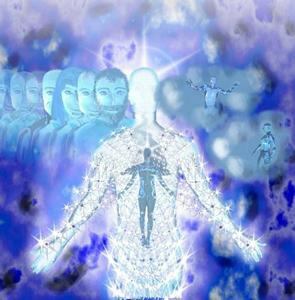 Spirit will become pure energy and one with the creator. If the mission has not been completed or learned, then the soul will re-enter a new living body and continue its journey of enlightenment until such time as the final outcome has been achieved. 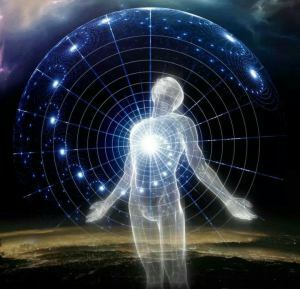 In the next article, I will discuss how the Soul is connected to the mind which works on the physical level but also can combine with the soul. You can read more on this here “The Mind Soul Connection”.